January 26, 2017: Iowa Department of Natural Resources says 138,600 gallons of diesel fuel leaked in Worth County. Authorities now say the Magellan pipeline ruptured near Hanlontown early this morning. Weather is impacting cleanup efforts. Those with the company say they have experienced pipe breaks before. “There will be a investigation on what caused release and what can be learned from this to try and help us and ensure this doesn’t happen again,” says Tom Byers, Manager of Government and Media Affairs for Magellan Mainstream Partners. Byers says they will continue clean up efforts and monitor the situation on a 24 hour basis. HANLONTOWN, Iowa – Emergency responders are dealing with a pipeline leak in Worth County. It reportedly started around 5:30 am Wednesday morning near Hanlontown. Authorities say the Magellan Pipeline has leaked 138,600 gallons of diesel fuel. 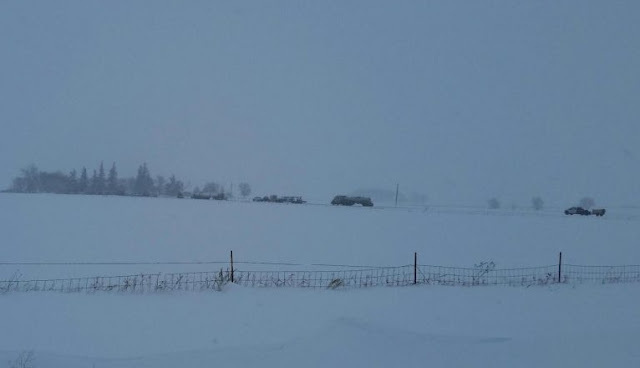 The Worth County Sheriff’s Office, Freeborn County Sheriff’s Office, Iowa Department of Natural Resources, Worth/Mitchell County Emergency Management and Freeborn County Emergency Management are on the scene. Worth County Sheriff Dan Fank says there are no health risks at this time but Wheelerwood Road from 390th to 410th Street will be shut down for a couple of days. Magellan Midstream Partners has issued a statement which says they are unsure what caused the 12” pipe to leak. Company representatives, clean-up crews and various regulators and environmental crews were sent to the site. Responses to "Pipeline Leaks 138,600 Gallons of Diesel in Northern Iowa"